ConnectSport is working with the Sport for Development Coalition to create a monthly 'call for articles' around a particular theme. Throughout February 2019 articles will focus on ‘Sport providing a safe place'. 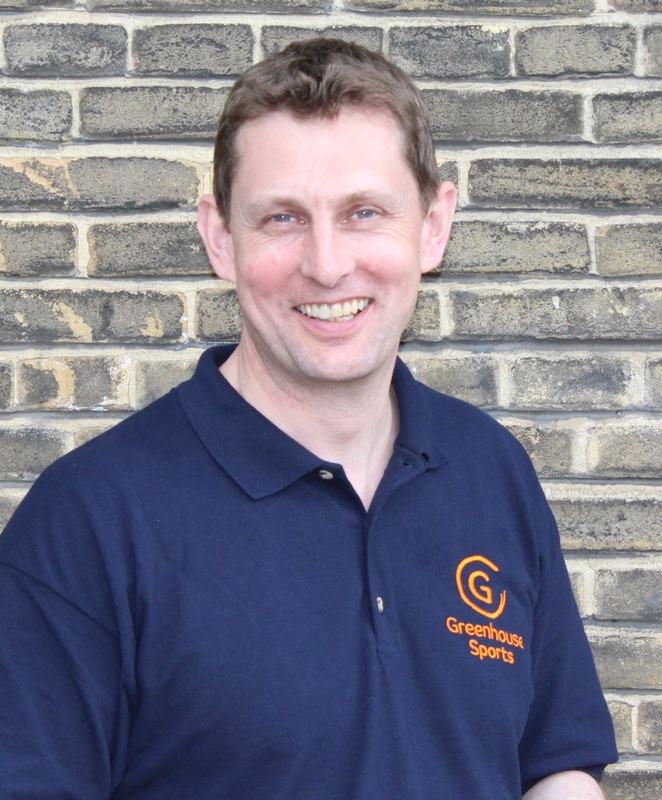 Here Greenhouse Sports CEO John Herriman, a former head teacher, talks about the charity’s work in schools across London, and at the Greenhouse Centre based in North Westminster. To submit an article, contact hello@connectsport.co.uk. 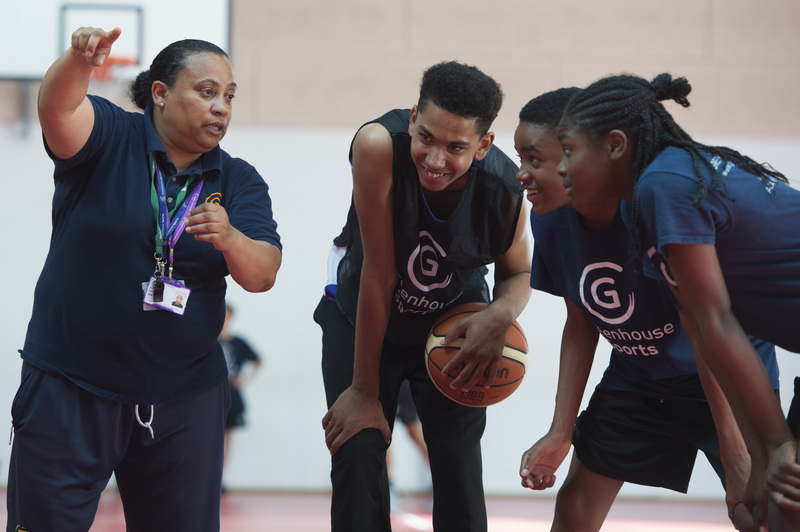 "EVERYTHING WE DO IS UNDERPINNED BY SPORT"
The difference with Greenhouse is that it’s about developing young people through the sport, as opposed to developing young people into sports professionals. We aim to create a really safe and high-quality developmental environment in which a young person is able to grow. "BY CHANGING THEIR BEHAVIOUR, YOU CHANGE THE WAY A YOUNG PERSON THINKS"
The impact we create is at such a deep level that you are helping the young person to think and behave differently, and eventually they reach a point on their journey when they start to think independently. That’s when you know the young person is going to be successful because they start to make the right decisions for themselves. All we are doing is helping them get to this point of self-realisation when they start to do it on their own. That’s the magic because at that point, they begin to believe they can do anything. Whether it’s getting a scholarship in America, going to University, getting a job, going to a particular college, they know they can do it on their own because they have been equipped with the skills to be able to do it. It’s about repetition and the coach constantly reminding the young person, for example as you would within a physiotherapy environment. It’s the repetition of an action or a behaviour which eventually becomes normal. By changing the behaviour, you change the way someone thinks. "WE WORK IN PARTNERSHIP WITH SCHOOLS"
We know that schools – especially in disadvantaged areas – are always looking for alternative or better ways to support their young people. Great schools, and great school leaders, are always trying to create a range of new opportunities for their young people to engage with. 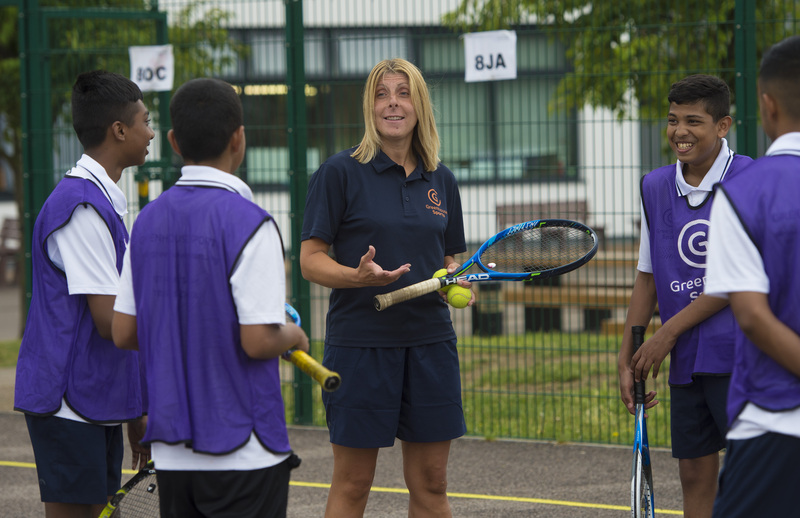 We just happen to focus on the sport because it’s a great way to reach a lot of young people, especially those who are transitioning through from primary to secondary – which is a really challenging period for many of them. If the school is finding that the normal curriculum is not engaging with them, then they can bring in a provider like Greenhouse Sports. We become part of the strategic direction of the school, able to demonstrate that we are focused on the school’s outcomes. For example, we are helping to tackle truancy through our breakfast clubs. I was at one of our breakfast clubs this morning and the coach had 25 young people playing basketball at 7.30am, then they will go through to breakfast and on to their lessons. So, you are also tackling the fact that some of these kids might not be getting a healthy breakfast. From the research we did with Loughborough University two years ago, we know this is supporting better progress and attainment in Maths and English by around 30-40%. And you get better behaviour as well. We are focused on preventing young people moving into that area of risk around exclusion, because we know the life chances of that young person are greatly decreased once they have been excluded. We will increase their life chances just by virtue of the fact they are staying in secondary school. "WE USE THE ‘STEP’ MODEL TO DEVELOP YOUNG PEOPLE’S SOCIAL AND EMOTIONAL WELLBEING"
STEP stands for social, thinking, emotional and physical, and is a long-established model within Greenhouse. We work with different age groups so the model is applied at different levels, for example when working with the younger group at our sports centre in Marylebone we tend to focus on physical literacy; but as they become older, we start to develop the social, emotional and behavioural skills through coaching and mentoring. We say our coaches are 49% sports coaches, and 51% mentors. If you can help to develop those life skills and character traits – like confidence and resilience – then you are helping the young person to think and behave differently and you know they are going to make the right choices themselves. They will be able to tap into their own potential and go on to make a contribution to society. We measure the social, emotional and physical progress that our young people are making by collecting data at the start of the school year, and then towards the end of it, so we can see how each young person has progressed. We have also integrated ONS questions around mental health, to give us a really good set of internal M&E data, and we do rigorous external validation, based on our work with Loughborough University, which enables us to continuously improve the model, and the outcomes for young people. "OUR CORE MODEL IS HOLISTIC, SO WE CAN MATCH THE NEEDS OF DIFFERENT FUNDERS"
Through our core model, we are essentially creating aspiration amongst the young people through our coaching, and so are able to tackle a range of issues. This might be supporting mental health and resilience, it might be supporting increased physical activity, it might be supporting schools with gang-related issues through our after-school clubs, it might be supporting community cohesion. It’s all about creating that safe space for our young people. Whether that environment is through the coaching or an actual physical, place-based setting, you are creating the opportunity for each young person to feel safe. When somebody feels safe, they grow. Couple that with the coaching and mentoring which goes around it, and the level of growth that you see in a young person when they are in that environment, I think is exponential to how they felt unsafe. When young people are in unsafe environments, I don’t think they develop at all – no matter how hard you might try. This is what we do in our schools, creating the safe environment for those young people who may be struggling with the education system, and then in the local community by doing the breakfast and after-school clubs. "WE WANT TO REMOVE SOME OF THE STIGMA AND STEREOTYPES AROUND SPORT"
We want to change that perception of sport not being good or not being safe. I hear about people’s bad experiences of sport over the last few decades, often from their school days. But done well, sport can be safe yet challenging and, especially for young people facing disadvantage, creates a great opportunity for them to grow and develop. It is so important. Our Centre provides a safe place in the community. We have got 2000 or 3000 young people within 10 to 15 minutes’ walking distance of it, and we know there is a need because it is based in one of the most disadvantaged wards in London. When you talk to parents, you become aware of the opportunity that we are giving to this community. We are proud that this renovated, deconsecrated church has been turned from something was being used for commercial use with no community access, into a hub for the community using sport. We focus on young people but we know we help to build capacity in the local community, so it makes sense to connect with local businesses – whether that’s through our table tennis corporate league or our annual dodgeball tournament, or a range of other activities like volunteering. We and they are here for the long term, so we want to work with like-minded partners with similar values. We remain ambitious to extend our footprint, like we have recently done with the Greenhouse Centre, because we want to create more opportunities for even more children from disadvantaged communities in the capital. We are always targetting more funding partners and donors to support young people on their journey to fulfilling their true potential. They inspire us on a daily basis and we would love others to be part of their success. 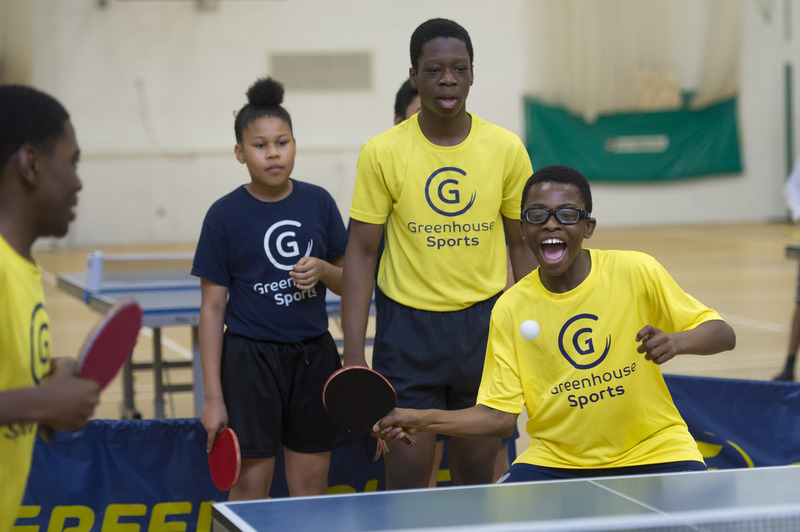 Find out more about Greenhouse Sports on its ConnectSport directory page. To add your organisation to the directory, contact hello@connectsport.co.uk.